THQ's unsecured creditors will recover between 20-52% what they're actually owed. THQ's infamous bankruptcy case may finally be coming to a close. 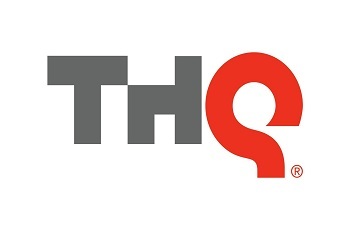 Judge Mary Walrath has approved a liquidation plan that will see THQ's unpaid creditors reimbursed with a large chunk of the proceeds from the recent auction of the now defunct publisher's assets. The auction in question raised about $72 million in addition to another $6.55 million earned from separate sales conducted in the month of April. That being the case, the funds from the auction don't even begin to cover the total claims from debtors which range between $143 to $183 million. Depending on the sizes of their claims and other pertinent factors, unsecured creditors involved in THQ's case will likely only receive 20-52% of the amount that they're actually owed. THQ filed for chapter 11 bankruptcy in December of 2012. Following the announcement, it attempted to enter into a purchase agreement with Clearlake Capital Group, which would have allowed the company to continue current operations under new ownership. Unfortunately, its creditors objected, basically arguing that the game publisher was worth more dead than alive. Judge Walrath agreed and THQ's assets were sent to the aforementioned auction where its competitors were able to pick up the rights to studios and franchises including Metro: Last Light, Homefront and Darksiders. All in all it's been sad to see THQ, founded in 1989, wind up in such dire straits and while the end of its bankruptcy case isn't likely to make many people happy, hopefully it can bring the situation to final closure. Note: In the original article we mistakenly said unsecured creditors would only receive 20-25% of what they were owed. In actuality the source piece said 20-52%. We apologize for any confusion.